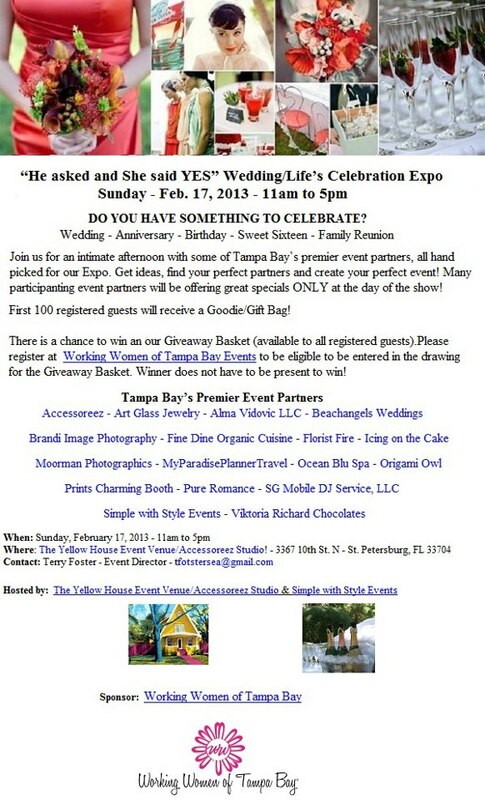 Our agents will be working the "He Asked & She Said Yes" Expo! If you're in the Tampa Bay area and want to meet us, let us know. We have 10 free tickets to give away to the guests of our choice.